Bad Kitty may be 'bad', but she's an endearing little cat as well! You just can't help but like her. 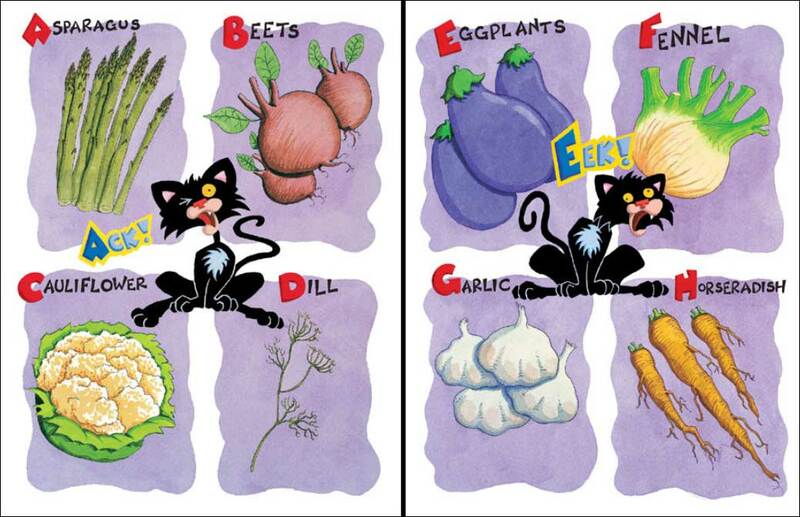 In the story, a kitty's owners have run out of cat food and offer an ABC list of healthy food to eat. Kitty has no desire to eat disgusting healthy food and offers her own ABC 'revenge' response to having to eat healthy foods. But when the owners return home from the store, the ABC list of food items is actually quite yummy, and Kitty must come up with a new ABC list of how she will make amends for her misbehavior and be a 'good kitty' from them on. This is one of our favorite alphabet stories. Young ones will appreciate the naughty cat's antics and benefit from the repetition of the alphabet letters while older children will have the vocabulary to appreciate the funny and creative items included in the ABC lists they come up with. All four ABC lists are funny and clever, (although some words of the words used in the list are quite advanced for the young intended audience.) 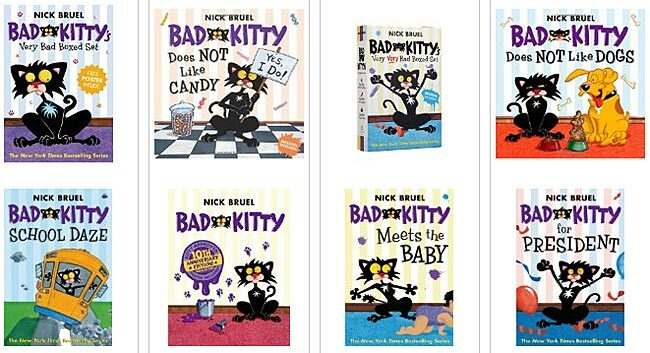 Due to the spectacular reception of the first book, Nick Bruel has written a whole slew of related books featuring our favorite little feline friend. We like this one best, but the other titles are a lot of fun as well. 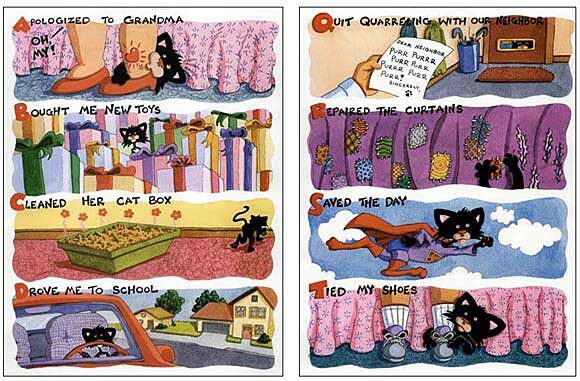 Later in the book, after Bad Kitty has acted up in protest, the two pages below appear, showing Kitty listing all the ways that she will make amends for previous misdeeds, thank her wonderful owners, and be a good, helpful kitty from there on out. Like the other lists, this list is also from A to Z. 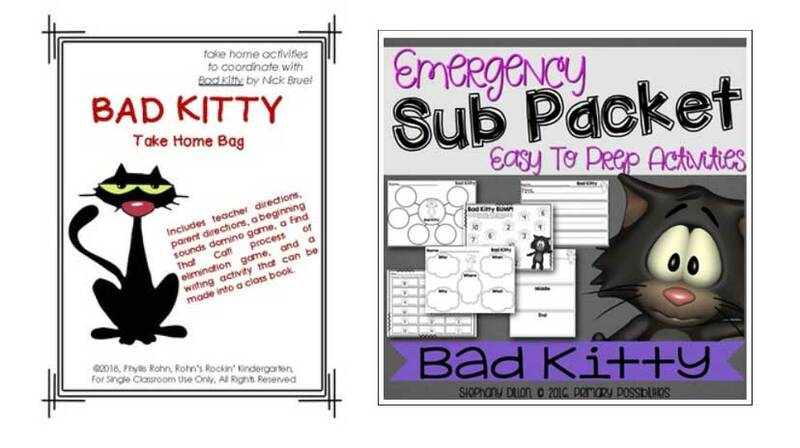 There are a lot of lesson / activity packs available on Teachers Pay Teachers for the Bad Kitty books. We haven't personally used them with our classes, but some have a lot of positive reviews. To see these Bad Kitty lesson / activity ideas, click the link or the pictures below. 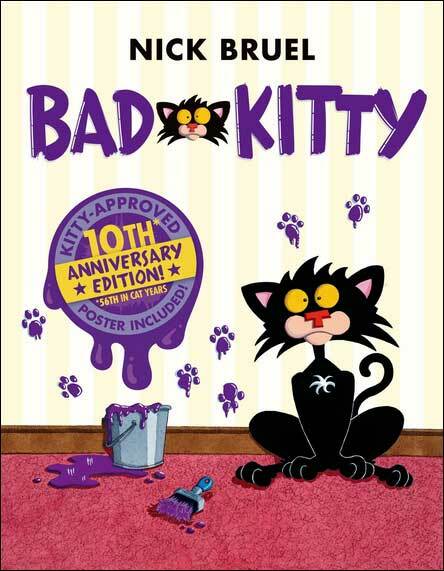 Considering how great this first book was, Nick Bruel has written a whole series of Bad Kitty books. Your kids will be wanting more, trust us! 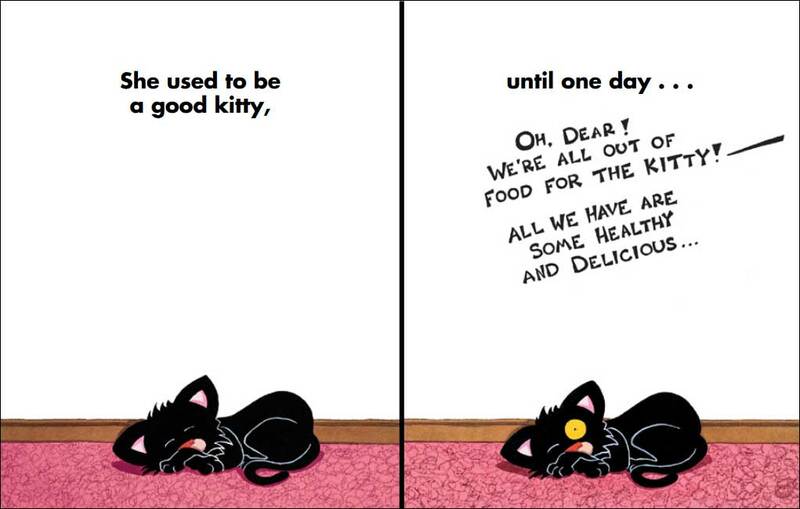 To learn more about the Bad Kitty series books, click the images below or the link above.